Chatteris, Cambridgeshire. 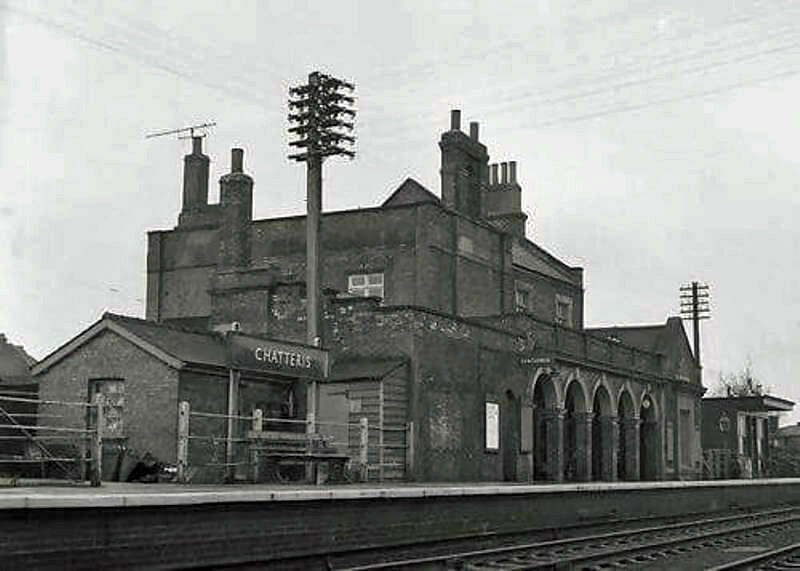 Undated view of the station buildings. These were located on the up platform. To the extreme right is the W.H. Smith bookstall. All now long gone. The A141 road now uses the track bed.